If the surveillance cameras, some or all of them, suddenly stop working, showing video loss or signal loss on the monitor or screen intermittently, then you might find this article rather helpful. We look into common reasons for video loss problem on CCTV security cameras and systems, DVRs camera systems, and provide tips to fix CCTV security camera video loss. 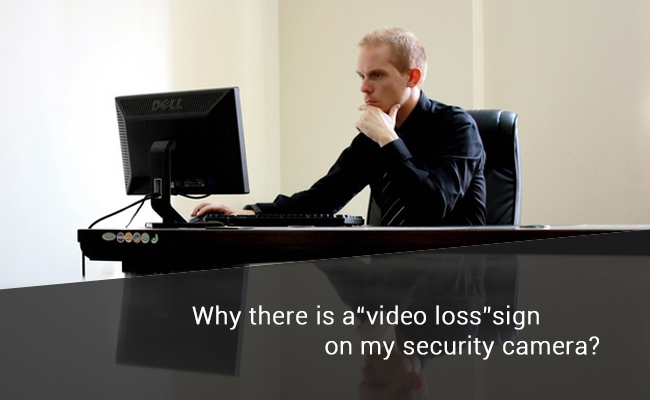 Video loss on security cameras comes in different forms and shapes. For instance, CCTV surveillance system loses video feeds on one or all cameras, displaying video loss at the same time. CCTV camera gets a loose connection, goes black at night, or gets no video with surveillance camera showing a black screen. 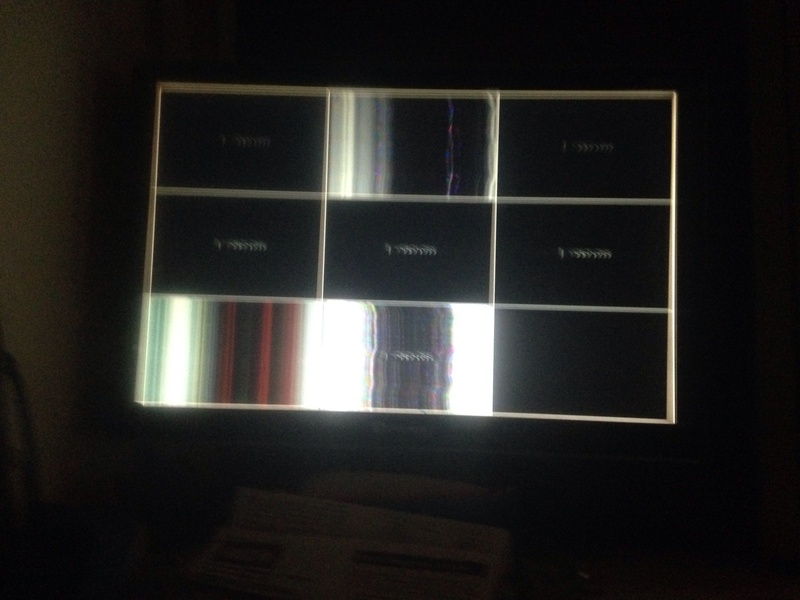 Sometimes, the camera video flickers on and off, showing lines on the screen and monitor. Or the H.264 DVR gets no picture, camera not working and etc. We have heard many users complaining about video loss problems on Swann Pro series CCTV cameras, Night Owl cameras, Zmodo cameras, Lorex surveillance camera, Amcrest camera or other cameras, Qsee cameras or CCTV/IP cameras of other brands. So why does video loss happen? 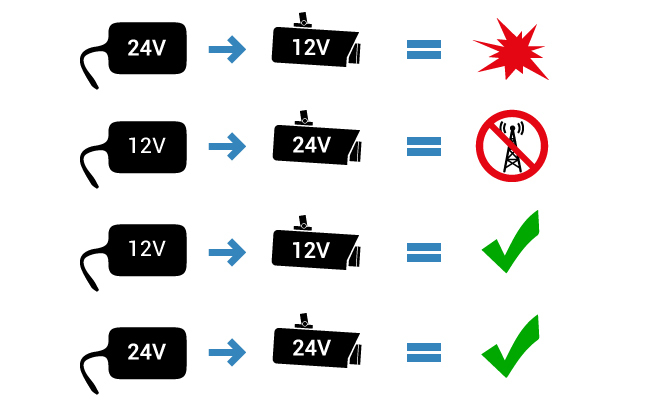 In general, the issue of “video loss” on CCTV security cameras or DVR/NVR, in many cases, comes down to several factors: power supply, network, wiring, hardware (cameras, NVR/DVR or monitor), and camera software. Many users tried and used different ways to solve the video loss but in no luck. Today we share our some of the best practices to deal with security camera video loss. The insufficient power supply is, very often, the culprit of the video loss on one or all security cameras, CCTV video loss at night, video signal loss on screen, camera going black at night, or camera video flickering on and off. Loose cable connection, for example, between DVR/NVR with cameras, between CCTV cameras and monitor or screen, power adapter, or any possible loose connection in camera power supply could cause video loss. Double-check all power connections, power splitters, cable connectors, and etc. to exclude connection issue. Switch ports to make sure the DVR/NVR port is providing power to the cameras. Connect the IP cameras directly to the NVR (if there is any) instead of via a PoE switch because the PoE switch could potentially not supply insufficient power to the IP cameras. Especially the PTZ IP cameras or night vision IR security cameras, which draw more electricity than those don’t come with PTZ or night vision. If PoE switch or PoE injectors are necessary, make sure you choose PoE switch or injector properly. Besides, try using shorter BNC or Ethernet cables to power surveillance cameras system and avoid using low-quality extension cables or extension cords. 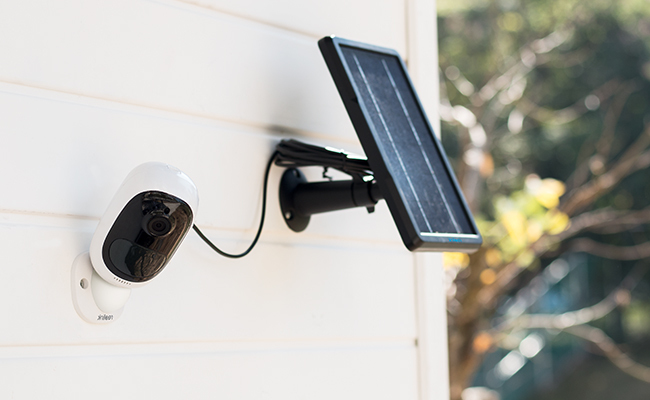 If you are using battery-powered security cameras, make sure the battery is not dead or charged either via power adapter or solar panel, for instance, Reolink Argus 2 and Reolink Go. Another horrendous hazard is power spike. It is likely to cause sudden video loss on security cameras, all CCTV cameras black screen, a camera with the electrified surface, the camera with a vertical/horizontal line, or serious damage to the camera circuit board or other components. To resolve such issue, try using power surge protector or lightning surge protectors to protect your CCTV cameras from a lightning strike. UPS (Uninterruptible Power Supplies) units will ensure power supply for all cameras when experiencing a power outage, mitigating concerns for camera power-off. Besides, if it’s hard not to mount your camera to anything other than a metal/conductive surface, try using a block of wood in between. Video loss or weak video signal among WiFi security cameras and systems could be caused by unstable network connections, weak WiFi connection or low internet bandwidth. The wireless security camera is too far away from the home router. BNC connector, which is commonly used on thin Ethernet network cables and network cards to transmit signals, however, unexpectedly and frequently, explains the constant signal loss and video loss on PoE home surveillance cameras or H.264 DVR. Some users set up their home surveillance system by connecting the cameras to multiple PoE switches before connecting it to the NVR or other network storage like NAS. In such case, video loss or camera not recording is likely to occur due to the bandwidth and network traffic. In addition, PoE switch or injector, if being loose or cut, also results in signal transmission disruption and video loss in the process. If you happen to have wireless security cameras installed, camera video loss displaying during live view could be the result of WiFi signal interruption, be it as a signal drop or signal loss. Once the wireless cameras’ connection with video recorders was severed, it’s impossible to upload or stream video feed on any device. Check home router, check PoE switch and get your security camera closer to your home router. Reconnect BNC connector and unplug PoE switch or injector to troubleshoot the video loss on analog and IP PoE security cameras. For wireless security cameras, it’s advised to check network and possible network interruption by checking router and channels. If you are using cellular security cameras like Reolink Go, make sure the SIM card is properly inserted, not loose, or the data is not maxed out. Some users experience CCTV camera black screen or video going black at night, it’s likely that the camera lacks infrared night vision, or the IR night vision camera doesn’t have an IR cut filter or a faulty IR sensor, or you simply forget to turn the IR on. Check camera setting to make sure the IR is on. To see if the IR LEDs are working, bring in the camera and put them in a low-light environment to see if the IR LEDs is on. If your outdoor security cameras don’t come with IR night vision or defective IR LEDs, use external IR illuminators or floodlight when necessary. Sometimes, your DVR or NVR shows video loss or no video, it’s possible that your NVR/DVR is not capable of decoding the video stream, especially different brands of cameras. Or cameras with a higher resolution like 5MP or 4MP can’t be decoded or compatible with NVRs/DVRs that are designed to decode 1080p camera. In some rare cases, the DVR is not able to understand a signal type that the CCTV camera is using, especially among some old CCTV cameras. Consult local technician and manufacturers on the technical details. Make sure to eliminate all possible hiccups before returning them for good since many problems will resolve itself if giving them time, and give yourself some time as well before throwing them away. Remember to use the same brand of NVR/DVR and cameras and make sure the DVR/NVR is able to decode the video stream. BNC Cables or Ethernet network cables, to some extent, could have an impact on the functionality of surveillance cameras, especially analog CCTV cameras which could suffer a greater risk of video loss or signal loss than PoE cameras. 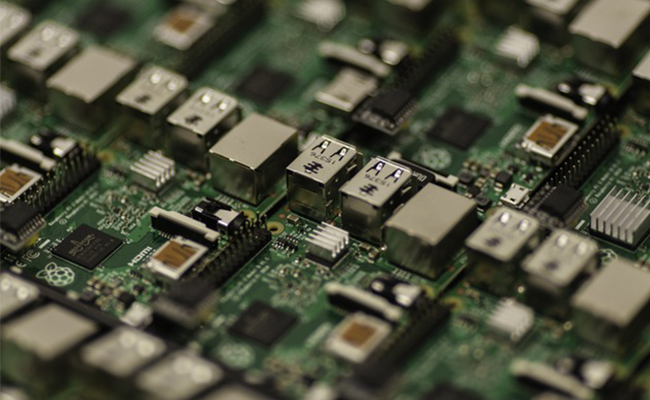 In such context, hardwired surveillance cameras will be more likely to encounter with wiring-related glitches, such as video loss on analog CCTV cameras and PoE security cameras. Twisted or bent cables particularly link to signal loss or weak signal passing through to the hub. In some common cases, video feed loss or failures in video streaming will occur. Check the wiring around your house and every inch of them until you are 100% sure about all wires are firmly connected and fine without any degradation or impairment. Check all cables, especially cables through crawl space or attic, to see if the cable is chewed, bent, cut or damaged. Try powering the CCTV cameras or IP cameras with new cables if necessary. If you rule out power disruption, connection problems, BNC connector, or cable issue, but still fail to get the bottom of video loss on the cameras, it may be, just maybe comes down to the very fact that your NVR/DVR or surveillance cameras are in a shabby state. Sometimes, video loss problem could also happen because of the old or bug-ridden firmware that has been upsetting your nerves all along. The possible solution would be to have a quick check on the update info and consider a firmware update to get better performance but not with certainty. Some users suggest updating firmware does help resolve this problem. Caution is warranted before updating and thorough understanding of the update is needed. When the CCTV cameras, NVRs, or H.264 DVRs go wrong and constantly suffer from video loss, black screen, or no video, it’s time to buy new and quality security cameras and systems. Reliable camera system goes a long way to giving you real peace of mind. Low-quality products will constantly experience problems in image, videos, NVR and tons of other problems, while high-quality and trusted video surveillance cameras system not only provide you with reliable products but also long-term stability and reassurance. Reolink Go connects to the nationwide 4G/3G cellular mobile network instead of WiFi, which is very often the cause of video loss or signal loss problem. 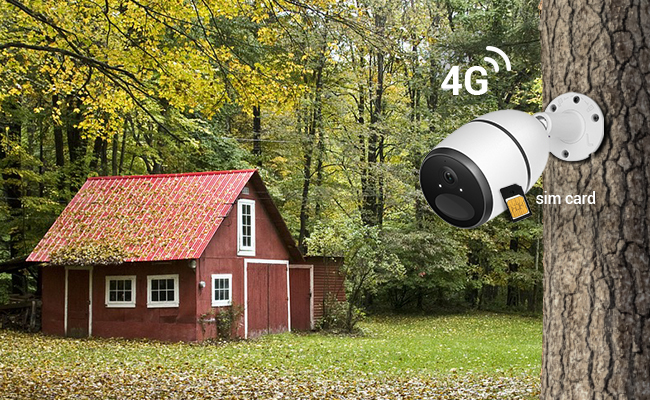 For locations that WiFi or bandwidth network is not available, this wire-free 4G-LTE camera is a perfect solution, reducing hassles of video loss, running wires, weak signals, or black-out. Thanks to Reolink Cloud Storage, the motion footage or important details are securely stored in the cloud. Reolink Argus 2 is the most popular wire-free rechargeable battery-powered outdoor security camera packed with 1080p, PIR motion sensing, 2-way audio and starlight night vision. Reolink RLC-410 is one of the most popular outdoor PoE security cameras on the market. It is packed with 4MP HD camera, supporting 80 ?wide viewing angle, 100ft night vision range, motion detection, and motion alerts. Users could view live feed, do 24/7 recording, playback video, and control several cameras directly on your PC or Mac, or on web browsers, including IE, Google Chrome, Microsoft Edge, Safari, and Firefox. One of the best PoE outdoor security camera systems Reolink RLK8-410B4 comes with four 4MP PoE IP RLC-410 cameras and an 8-channel NVR with built-in 2TB HDD for 24/7 recording. Reolink RLK8-410B4 is popular with users looking for a reliable and complete security system. 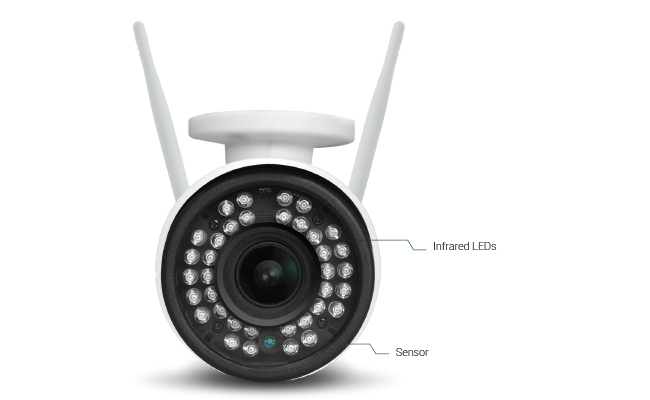 Consumers who are looking for a wireless front door security camera that they could watch from their Smartphone, computer, TV, PC, Mac, or monitor should find Reolink wireless outdoor camera RLC-410W very helpful. 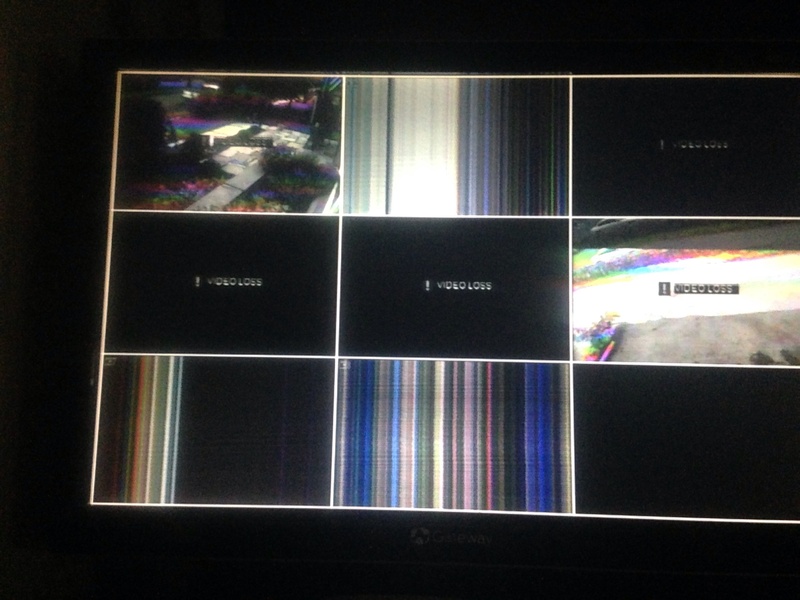 Video loss occurs in various circumstances and forms such as video loss on all cameras, video loss on one CCTV camera, camera video going black at night, CCTV no video signal, camera with black screen, cameras stopping recording, cameras going on and off, camera not working or cameras showing vertical or horizontal lines. To avoid such hassle in the first place, it’s always advised to regularly check your security camera system and take some necessary precautions to stomp out video loss on CCTV cameras and home security camera. 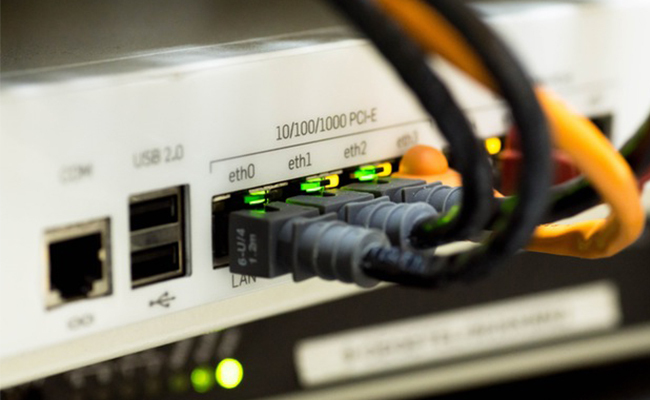 Echoing what we have discussed earlier about possible reasons for video loss, you should conduct a thorough examination of all power and network connection regularly, such as power cord, power adapter, Ethernet cable, BNC connector, BNC cable and so on to make sure they are well attached and functioning. Word of advice, try to use shorter BNC or Ethernet cables to power surveillance cameras system; and don’t easily switch original cables to other non-professional grade cables, or avoid using low-quality extension cables or extension cords. Lightning surge protectors will stop voltage spikes and surges by blocking voltage levels exceeding specific thresholds and channeling extra voltage into the outlet’s ground line. Expensive products don’t necessarily come with solid products, but well-received security camera brands such as Reolink among customers could signal that the products are up to scratch. Helpful and responsive teams within the corporation no doubt help customers troubleshoot problems in their camera system in a timely and effective manner. Meanwhile, try buying security cameras and DVR/NVR from same manufacturers to avoid compatibility issue. This entry was posted in Pro Tips & Fixes and tagged CCTV video loss, video loss on security camera. I purchased an ANT NVR. Great S/W with lots of options on the NVR box; However, it would lock up, or lose the video streams momentarily. I went higher dollar, and purchased a unit that would do 8ch of 5M, thinking that bandwidth of the NVR was the issue, since I have two 5M Dome cameras. Low and behold, the more expensive unit with higher bandwidth does it too! I log into the camera browser and no issue. I use my laptop and UC software and no issue, just NVR boxes don’t hold sync. Stink! Any clue how to get cooperation between the NVR and the 5M dome cameras? Hi John, given what you described in your scenario, it would be a good idea to reboot your NVR first before trying to reconnect them. And it is also a good idea to plug in another PoE port and see if the port is poorly connected with your cameras. Besides, if your cameras and NVR are running on old version of firmware, it’s better to update camera firmware and NVR firmware to fix some tiny bugs that might result in constant video loss. If your cameras and NVR are powered over Ethernet, internet bandwidth won’t be a issue. It is important that NVRs are compatible with the cameras. Try some of tips listed on the article or try to contact their tech support for more information. Thanks for the quick response, as it turns out, the problem was a lack of bandwidth. I resolved to make a direct connection from my router to my recorder and the problem went away. Great! It’s important to make sure camera/recorder and router is directly connected. And we are happy we could be helpful in some ways. My company installed 105 cameras which have 7 nvr. The 6 nvr have 16 cameras each while the other one have 9 cameras. There is video loss in the 7th nvr which consist of 9 cameras. My workmate tried to switch the 9 cameras to other nvr that supports 16 channels but the nvr that have 9 cameras still has video loss compared to 16 cameras in the nvr. What are the possible problems in the system? Video loss usually occurs when connection between video feeds and monitor is lost. By switching NVR or checking possible loose connection will help in some cases. Given what you described, it’s possible that the connection between cameras and NVR is disrupted somewhere along the way. It’s good ideas to double check the connection again (re-plugging in them into the router or NVRs) and check firmware update, or having further check by professionals. Screens monitoring/displaying real time store activity are not working for two or thee days and only show message “Lost Signal”. Is the stream available for viewing those “Lost Signal” days after it is repaired? If you are using a NVR or DVR to store footage and videos, signal loss could happen when connection between NVR/DVR and monitor is lost, but the footage is still available for viewing after the connection is restored. It’s advisable to check all connections in your security system. However, when the connection between cameras and monitor is disrupted, and footage that hasn’t been saved or recorded to a SD card, a hard drive or cloud earlier is impossible to retrieve in such scenario. I wish to clarify, as I’ve received varying answers to this question. One stated that the stream/footage is not recoverable, due to the camera(s) needing power to rec eive light on the image sensor (to create the image) and then needs to store the image somewhere. Without power ( Signal Loss) this cannot occur, as there will not be any recorded content to review. To your reply regarding the saving or recording to an SD card, hard drive or cloud, is that something the system will automatically process? I’m confused. Indeed, the stream/footage is not recoverable when the power connecting to the camera is cut or disrupted. Regarding saving or recording to SD card, hard drive or cloud, you need to configure some settings after the purchase. SD card is primarily used for event-based storage, some of them is set by default like Reolink. If you are thinking about recording videos to NVR, please refer to /faq/record-videos-playback-recordings-with-nvr/; if you are thinking about uploading videos and recordings to a FTP server, you can refer to this FAQ /faq/set-up-ftp-in-reolink-client/. If you are using Reolink products, we would strongly suggest you contacting our tech support /contact-us/ for further assistance. If not, we would suggest seeking tech support from the providers. Thanks Joseph R. First make sure all your different brand cameras are powered on because more often than not power is quite often the reason why there is video loss issue. Besides, you can try updating camera and DVR firmware and reach out to Swann tech support. Keep in mind, different brand cameras could possibly experience compatibility issue with different brand DVR/NVR. Hi neelam tranam, normally when cameras show no video or video loss, there are many possible reasons, for example, power transmission (connection, power surge, power voltage..) or signal transmission (connection, signal loss, cable issue…). My suggestion would be, first and foremost, powering off the cameras and video recorders (DVR/NVR) and reconnecting them once again to see what could possible be the reason behind the black-out. Then it’s important to check the signal transmission to make sure the video signal is transmitted smoothly. If the problem repeatedly shows up, reaching out to the tech support and after-sale service for trouble-shooting or replacement if necessary. I have qcee cameras n i loose connection only at night. Connection is perfectly fine during the day. Interesting! You can check whether there is enough power supply to the cameras or the NVR as the power could have an impact on signal transmission. Or you can try to update cameras’ firmware to the latest to see if such problem continues to exist. Less than a year ago I bought an inexpensive Sannce 4 camera system, which works great. But 3 of the 4 long power/video wires have failed, and had to be replaced. The problem is not the connectors. There is power at the feed end but no power at the output end. I just hope the replacement wires are better than the originals, because if keeping this system working requires changing 60 foot runs of cables every couple of months for the rest of my life, I’m going to abandon it and try a wireless system, or a different brand that is capable of making non-defective wires. Hi there, wires and cables do have an impact on camera system’s general performance. Choosing a system with durable and reliable wires for data transmission is a right choice. Meanwhile, it’s important to protect wires and prevent them from degradation, for example, making cables waterproof, avoiding exposing the cable directly to the sunlight. 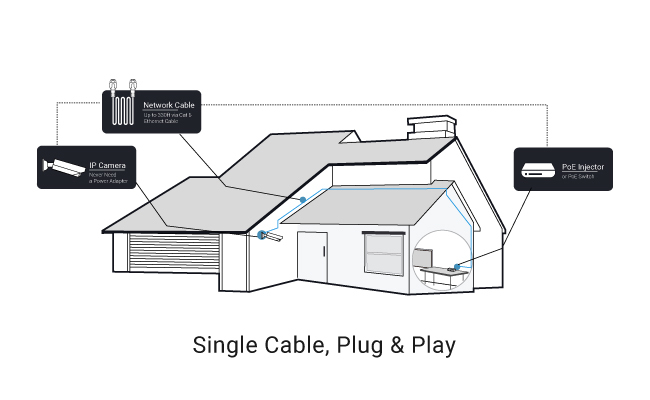 Wireless systems like Reolink RLK4-210WB4 /product/rlk4-210wb4/ is well received and popular with many homeowners. My cables are all waterproof, and not in direct sunlight. There is no visible reason why the cables stopped working. I checked out your website link to your 4 camera wireless system. It looks like a good system at a good price. My house is made of steel reinforced cement block and concrete. Will there be a problem with the camera signal going through the walls to the receiver/DVR? Our home wifi works good, except in one upstairs bedroom that doesn’t get good signal. P.S. My house construction is “earthquake-proof”, which means there’s lots of steel in the walls. Yes, 4 camera wireless system RLK4-210WB4 /product/rlk4-210wb4/ is indeed a nice wireless camera system. The wireless cameras communicate with its wireless NVR wirelessly. It should be okay for the WiFi signal to transmit through the walls. That being said, it’s advised to place the cameras well within your WiFi network and try avoiding too many barriers in between. any posible help or solution ?? You might need to double check the power supply to cameras and make sure all the cameras are getting enough power as they require. This problem could also be caused by loose connection between cameras and DVR or cables problems. My suggestion is to re-power all cameras and re-plug them into the DVR with new cables if that is possible. If the problem stay unsolved, it’s advised to reach out to the tech support for further assistance. thanks sir but it doesn’t solve my problem..
We are glad to hear the problem is solved. It’s a bit difficult, as I mentioned in the article, to fully pinpoint the cause especially when cameras of different brands and different type are involved. Seeking assistance from camera manufacturer is always the most effective solution as they understand better their particular type of models and its makings. Hi Scot, video loss is mainly caused by connection problems (power supply & network connection). Try to double check power supply and network, if the problem remains, update firmware. If there is anything that we could be any assistance, feel free to reach out. got same issue.. after awhile, all the channel become blank with signal lost symbol. “?”.. dahua hd-cvi.. I have 6 Cameras on one switch and power supply to power up the cameras. My switch is connected to server through OFC. I checked video recording for 24 hours, and 3 out of 6 cameras recording only for 20 hours out of 24. I check everything connection, power but no luck. Video recording is stored on NAS. Please anyone here suggest me what can I can do to resolve this issue. Hi there, video loss happens for many reasons. Does your switch provide enough power to all your cameras? Is the connection between you cameras and NAS disrupted? Take all necessary steps mentioned above to rule out potential network or power problem, meanwhile reach out their tech support and if the problem lies in hardware, try to contact the manufacturers. We don’t power up cameras with Switch, we have separate power supply to power up cameras. connection between camera and NAS are not direct as I mentioned it is switch to switch OFC connection and connection not disrupted. 6 Camera on one switch and 3 out of these 6 record perfectly fine but 3 out of these have video loss. Strange that issue doesn’t happen with particular cameras. Some day no 1 camera out of 6 has an issue other day number 5 camera has an issue. One user said lowering camera solution helps resolve the problem, maybe you could give a try. Having an issue with one of my dome cameras. All I get is a white screen from the camera. I have ruled out any problems with the wiring and dvr, so it has to be something with the camera itself. Thoughts? Hi Ben, what brand of dome camera you are using? It could possibly be the camera but also could be some settings of the camera. I have the night owl system with 4 cameras and all 4 has loss video at night , during the day I have a lot of snow over the view. Which makes it hard to view. If you are having a lot of snow over the view, it’s likely that your cameras are getting interference from strong electrical currents or there are some issues with power supply. Maybe, try change cable and plug into different port to see if the problem still exists. Hi John, it seems like the problem lies in the board. It’s better to reach out to the manufacturers. Hopefully, we could see your security camera system up and running soon. Good luck! I installed a system and I’m getting video loss and when people are walking it seems like a shadow is following them. Is that a power supply issue? I have them powered by a spider 8 power supply wall connector— should I change it to a power box? Hi Jose, what kind of system do you use? You could try changing the power supply but do make sure your system is getting enough power supply. The image problem you described could be caused by the various reasons, for example, the areas are not well-lit, or something covers or block the camera. It’s and LTS system with 1080hd cameras with verifocal. It’s weird it’s more in the night vision that it looks the the person has a blurry shadow following them. I’m aylso loosing video which I say it’s due to the power supply system I’m using. But I can’t figure out that blurry shadow. Can it be from the power as well? I have installed 02 night vision outdoor CCTV cameras and DVR (both Secure Eye brand) in 2013. Now, after 04 years, the DVR gives beep sound frequently and the picture becomes black & white and shakes also, What can be the probable faults ? Is hard drive needs replacement or there can be other faults ? I just installed the wifi 4 camera system, all cameras have 3 of 4 bars of signal strength, they are all outside. Worked great for over a week, then during the first heavy rain, they all displayed video loss. Any suggestions? I installed the Cobra 63890 8 channel surveillance security system two days ago. The first night it was just spread around the house to make sure it worked. No problems there. Put it outside the next day. No problems all through the night. Today I moved one camera by tilting it down just a little to get more of the yard in it. When i checked my phone to see what the camera captured it showed the four squares with no video inside of them. Figured I’d go ahead and move the next camera approximately 10 feet. There was plenty of slack in the wires for me to do this and still plenty of slack after i got done. So i didn’t pull the wire hard enough to do any damage nor pull where it’s connected to the receiver. I’ve unplugged each cameras power source and reconnected them. I’ve rebooted the entire system. I’ve unplugged both the DVR and the plug for the cameras. They both are plugged into a multi-outlet power strip with surge protection. Tech support is only telling me to check the connections for power and video which I’ve already done. What am i missing? How does tilting one camera down cause video loss in all four cameras? How can i fix this? Over two hours after the problem occurred it seems to have fixed itself. I have a samsung system and it just said that it lost wifi connection, now when I connecting it is telling me to “check if the USB dongle is connected” what does that mean? Not sure how your setup looks like. The USB dongle is normally a portable device that allows you to access the internet. When the camera system loses WiFi connection, one way to fix it is to reconnect to the home router and try a couple of times to see if anything changes. For starters, maybe take a closer look at your network setup. Hi Heidi, you may conduct a thorough examination of all power and network connection to find if there are any problems. Also, upgrade your security cameras to the latest firmware version to see if it works. Hope this would help. I have an AVCom DVR which has ip connection capability but our area has no internet connection. The problem is whenever you turned on the DVR it would show all 4 CCTV cameras on the display/monitor but after a while it will reboot and show same thing until it shows “no signal check connection”. I noticed inside the dvr will show this blinking lights over and over again together with the beeping sound. I would appreciate if anyone can help me on this? Please send me a reply to this email address ricartesumbillo@gmail.com… Thank you! I have 2 cameras perfectly sinced to my desktop computer, phone and tablet, but when I tried to install the same app on my laptop as I have on the desktop, I get audio but no video. Wifi is running just fine on the laptop (I’m accessing the internet on it right now).Only thing I can think is I am sincing the cameras to one too many devices now? The video capture is flickering with regular intervals. What could be the reason? Hi, Prabakar, you may switch the exposure setting to Manual and the value to 1/10000 or another value and see if it works. Hi, there, have you tried all the methods in the post above? If all of these still don’t work, it’s recommended that you contact the support team of the camera seller for thorough troubleshooting. Hi, Rowan, video loss is mainly caused by insufficient power supply and weak network connection. Please check that power voltage to your cameras is appropriate and your cameras are connected to stable network. Hope this would help. Hi, there, please check if there is any firmware update available to your old model DVR. If not, we suggest that you look for new DVR or NVR alternatives from reputable brands. FYI, Reolink offers you a wide range of qualified NVRs and security systems. You may check here https://store.reolink.com/security-camera-systems/ to learn more. 2 weeks ago we had a hard wired Night Owl system installed. Now on one camera there is no night vision. During day recording there are 40 – 60 min time periods missing and it always involves the same person we are trying to catch in the act harassing us and damaging our property. Can his high powered flood lights he has and points at our cameras interfer with the recordings? We know jammers will not work in disabling the hard wired cameras. What can this person be doing to get the recordings to stop when out in front if our house? Thank you. Hi, there, high-powered flood light can interfere with your camera’s recording at night since it is too bright for the camera to switch to its night recording mode. You can call the police for help and it will be easier to identify the bad guy if there is any CCTV footage capturing that harassment. Hope that you will get the issue solved soon. We already tried the police, they say it is a civil matter. And who can afford an atty after paying a $1000.00 for a fence to divide the properties and it was placed about 10″ on her side of the property line. He tore out the property assessors makers and trespasses onto her property to nail and hang things on her fence and at times jumps up on it and hangs there making faces at her to show he can do whatever he wants. He also uses a leaf blower to blower to blow the leaves from city trees that land on his property over onto hers after he sees she has cleaned up her yard. Another $1000.00 more for 5 Night Owl security cameras installed and absolutely horrible customer service from Night Owl who apparently is overseas. I have had a cctv working for 3 years now 1 of 4 systems in our business and a few days ago I had a lost disk message on the screen …. no pictures at all from the cameras , although they are working , power is getting to the system I changed the HDD and still the same message and no pictures I have also tried new power supplies …… normally when the HDD goes there is still images on the screen but no recording available I am at a loss , has anyone got any ideas? Hi Magnet, you may reset the CCTV system to check whether it works properly or not. If this doesn’t help, you may contact the support team of your CCTV system brand and ask them for further help. This was very helpful, turns out my power source wasn’t able to power 4 camera so I replaced cord and works perfect. We are getting a message on the app that says the specified device does not support advance function (TCP relay and P2P tunnel module). Can anyone tell me what that means. Hi, Barbara, you may check the network connection of your security cameras and make sure that it meets the network standard stated by the security camera brand. Hope this helps. I am getting a message on the app that says the specified device does not support advance functions (TCP relay and P2P tunnel module.